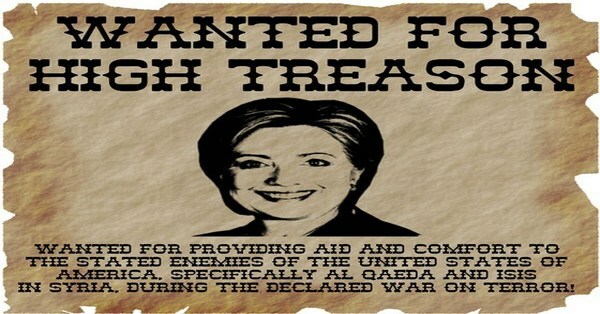 - Following 'Electo-Geddon', The DOJ Guns For The Man Who Took The Evil Witch Down! While NPR reported on November 17th that a so-called 'court records nerd' had discovered that the US Justice Department may be preparing to criminally charge Wikileaks Founder Julian Assange after researcher Seamus Hughes discovered what the NPR story called 'one of the government's most closely guarded secrets', the #ClintonCrimeFamily continues literally and metaphorically to 'get away with murder'. Following a search on an unrelated case, Hughes ran into information that has led him to believe that the US DOJ is secretly preparing to charge Assange for what amounts to 'journalism' and his role in taking down Hillary's presidency by exposing emails that clearly paint Hillary as 'the rat' that she is, should Assange be prosecuted for exposing Hillary's and the DNC's crimes, while the witch and the demonrats walk free, Americans will have absolute proof that the 'rule of law' in America was designed around protecting the Clinton's. And with the Robert Mueller 'Russia-gate witch hunt' continuing despite Attorney General Jeff Sessions resigning and him being replaced with Matthew Whitaker, who many on the left believed would interfere with Mueller's work, we have to take another look where this is all headed with WND and former Infowars reporter Jerome Corsi recently telling the Daily Caller that he expects to be indicted. Needless to say, in this America we're now living in, where one crazy Democratic Congressman has insanely put out a tweet threatening to use the US military to 'nuke' his own constituents who won't hand over their guns, it's well passed time for Americans to prepare to defend ourselves and our families and loved ones against any totalitarian regimes that may emerge upon the other side of this long fall into tyranny in America. As Mike Adams points out in this new story over at Natural News, WHY IS the US DOJ considering indicting Julian Assange but not Hillary? And should such a thing happen, giving tens of millions of Americans ABSOLUTE PROOF that the 'rule of law' in America was created to PROTECT Hillary and the #ClintonCrimeFamily, how can Americans EVER trust anything that comes from that office ever again? Acting attorney General Matthew Whitaker sure has a major mess to clean up that he was dealt. As Steve Quayle told us in a recent note, following the 2018 mid-terms, we've witnessed "Electo-geddon" in America: "The old statement is true, it's not WHO casts the votes that counts, it's WHO STEALS the votes that counts!" And should America fall into all-out socialist tyranny following what would could be a Democratic presidential election steal in 2020, how will we ever get the America we know back again? The answer is clear, should President Trump lose in 2020 and a totalitarian-globalist win, 'America' is history. So let's take an extended look at this new story from Mike Adams over at Natural News over the next few sections in which we see that should Assange be indicted and Hillary walk, 'justice' in America is done forever, never to be seen again by Americans thanks to the global elite who long ago sold out America for their totalitarian 'new world order'. As journalist Chris Hedges recently reported, Julian Assange and Wikileaks have exposed more political corruption in America than the mainstream media journalists ever did. As Adams then points out, the differences between Hillary and Assange are like night and day, with Assange using journalism to expose Hillary's myriad history of crimes, including arming ISIS and al-Qaeda terrorists in Syria while the 'war on terror' was ongoing, while Hillary used the DOJ, FBI and the mainstream media to cover up her crimes, the crimes that Wikileaks has already exposed. And while NBC recently reported the 'huge bombshell' that President Trump friend Roger Stone had been discussing Wikileaks taking down Hillary on October 1st, nearly a week before Wikileaks had recently that email dump, Wikileaks had been releasing a steady stream of emails proving that Hillary Clinton was a criminal who had committed treason against America as ANP had reported back on July 24th of 2016, again on July 27th of 2016, then once again on August 2nd of 2016, and then even again on September 7th of 2016. And we remind you that on January 26th of 2018 we reported that Hillary Clinton had once called for the assassination of Julian Assange as if she was somehow 'judge, jury and executioner'. And still, after exposing the crimes of Hillary Rodham Clinton against the People of the United States of America, including the crime of treason for arming our stated enemy, the DOJ is going after the man who exposed the criminal. As Steve Quayle wisely noted of the DOJ while linking to this Mike Adams story, "Res Ipsa Loquitur, their actions speak for themselves". In the first video below, Joe diGenova rips the corruption we're witnessing from the agency that is supposed to make America stand far above the banana republics of the world. And while the DOJ proves beyond a shadow of a doubt to the American people that the rule of law doesn't apply to Hillary by both turning a blind eye upon her crimes while going after the journalist who exposed them, we should remember that back in October of 2016, even President Trump admitted that Wikileaks exposed Hillary as a criminal as heard in the 2nd video below. Yet that 'criminal' somehow manages to keep her hold and control over the DOJ and FBI, as if the DOJ and FBI themselves were petrified of her. As Adams then points out, anyone who opposes Hillary ends up in a body bag. 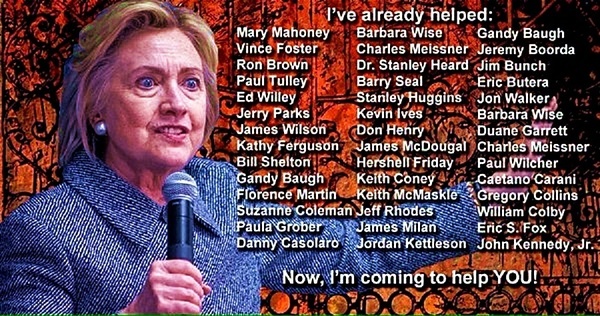 The trail of blood that follows Hillary wherever she goes might be enough to get the FBI and DOJ 'in line' for Hillary. Is Hillary secretly running parts of America? The difference between Julian Assange and Hillary Clinton Julian Assange is committed to transparency and truth. Hillary Clinton is committed to cover-ups and lies. 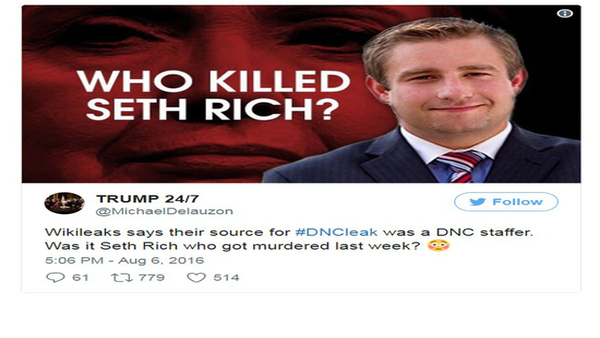 With the entire Mueller investigation surrounding the hacked emails that Wikileaks was able to obtain and Wikileaks claiming all the way back in 2016 that their source was a DNC staffer, has Mueller looked at all into the murder of Seth Rich and the very strong possibility that he was another name added to the still growing #ClintonBodyCount, taken out by the #ClintonCrimeFamily and the DNC? As we all know by now, the DNC sold away their souls and their allegiance to Democrats in America by making sure that Hillary won the Democratic nomination, damn Bernie Sanders and his flock of followers. So with the lines now clearly drawn between good and evil, and transparency and secrecy, and 'evil' happy to shut up any and all detractors by any and every means necessary, should the DOJ continue and indict Julian Assange for exposing the crimes of Hillary Clinton upon the American, crimes that were nothing less than treason, an executable offense, Americans will then have absolute proof that 'Justice' in America has fallen and we're now living in something verging upon being a banana Republic. So we'll agree with Mike Adams in his conclusion to this must read story, that if anyone should be locked up, it should be Hillary, with Assange given a hero's welcome here in America for taking down pure evil. 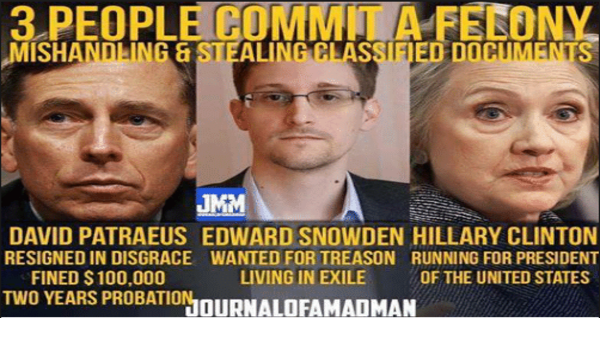 And if somehow Assange is imprisoned while Hillary is able to steal the presidency in 2020 despite all of the dead bodies that follow her wherever she goes, Americans will have absolute proof that Our 'Republic' has fallen and that America, freedom, liberty, the US Constitution and our God-given rights out the door.